Human rights are the rights to narrate in spaces that are inclusive, said Director of Human Rights and Anti-Discrimination Commission, Ashwin Raj. “This could be based on their sexual orientation, gender identity or expression, ethnicity, linguistic minority, and maybe they represent the disability community,” Mr Raj said. He said sometimes the powerful get to speak at the exclusion of people who were in society’s margins. 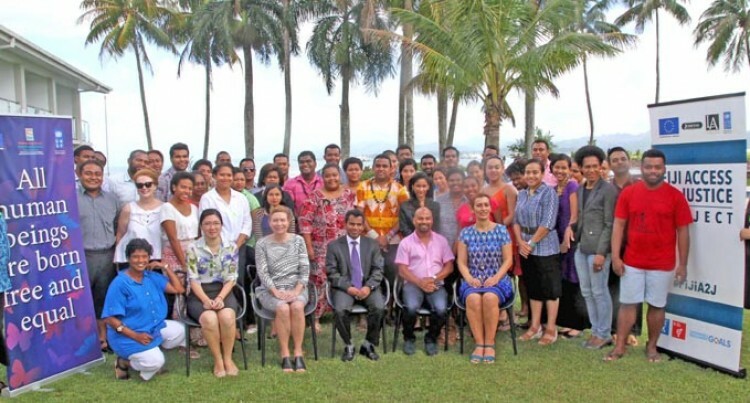 Mr Raj was speaking yesterday to about 60 youths from various youth groups and institutions who attended the National Human Rights Commission Dialogue that was held at the Holiday Inn Suva. Youth Champs 4 Mental Health advocate, Paul Volau was keen to gain more understanding on the issue of human rights. Mr Volau said there was still a stigma associated with mental patients. Newly crowned Adi Senikau and Haus of Khameleon representative, Elaine Munroe said she would advocate on human rights for the Lesbian, Gay, Bisexual and Transgender and Queer (LGBTQ+) community. Mr Raj said Human Rights were about recognising everyone’s inherent dignity. The event is supported by Fiji Access to Justice Project which is funded by the European Union and implemented by the United Nations Development Programme (UNDP).